The largest floating cover in the world is made of the XR-5® geomembrane. This two-impoundment cover, owned by the city of Memphis, TN covers an area of about 950,000 square feet. 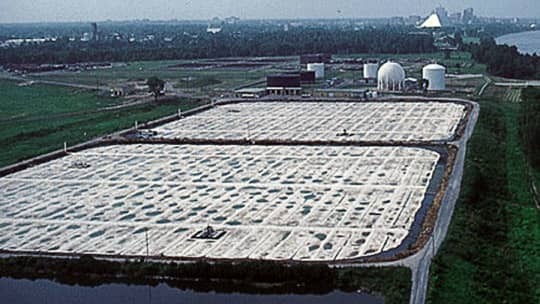 The cover allows the collection of methane from the long-term digestion of secondary sludge. In this case, XR-5 employed a cream color as part of the design digestion kinetics.